Porcelain tile bulk value assortment. Compared to other sites selling similar products your pricing was far superior. 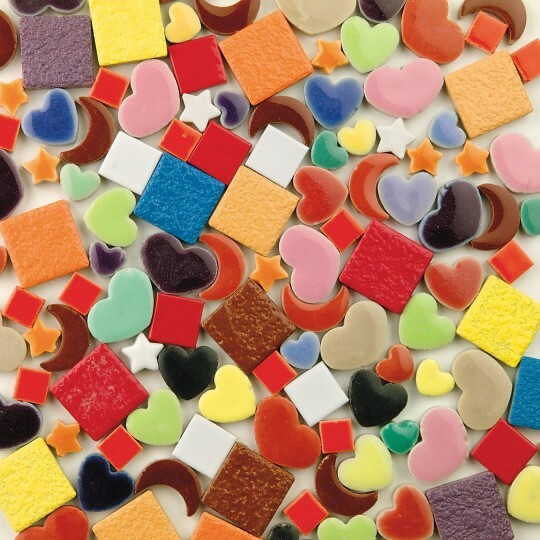 I like all the shapes and colors except there are no red hearts. This was a really great assortment of lots of different shapes and colors of tiles! I purchased these tiles for a mosaic stepping stone project. It was a great assortment of shapes sizes and colors.